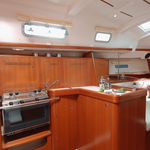 Boat Oceanis 343 called Lamaris has been produced in 2006. 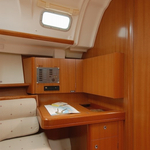 We propose this sailboat from base Dubrovnik in the region close to Dubrovnik. Lamaris is registered for 8 pax. 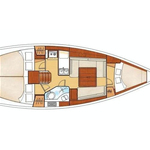 Layout of the sailing boat is 8 (6+2). 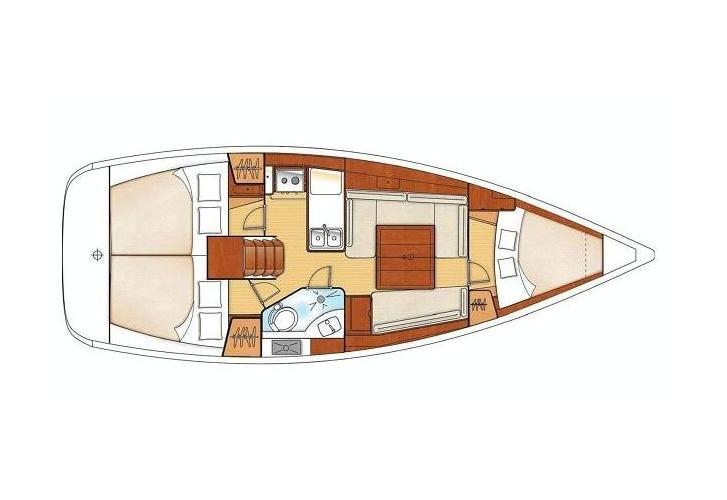 Oceanis 343 Lamaris is equipped with 3 bedrooms. 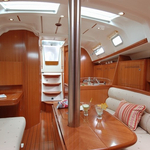 For comfort of passengers there are 1 heads with showers. 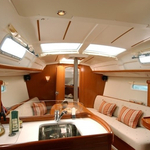 With motor 30 Lamaris can navigate really fast. Lamaris is 10.82 meters long and 3.48 meters wide. 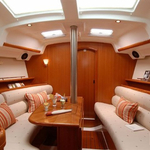 Depth is 1.5 m. Use our search engine to find different yachts by navigating to the section Yacht charter Dubrovnik. 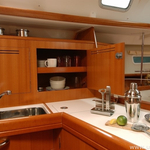 Sailboat's equipment involves : Furling mainsail, Radio cd mp3, Radio / cd player, Teak cockpit, Anchor electric windlass, Dinghy, Bimini top, Electric winches, Autopilot, Gps plotter, Internet Wi-Fi. . Nonrefundable caution has value 900.00 EUR. 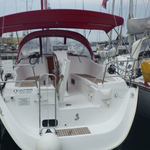 Choose our offer and enjoy your holidays on the deck of Lamaris. 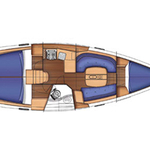 This Oceanis 343 from Dubrovnik from Croatia Search for in this section: Yacht charter Croatia.